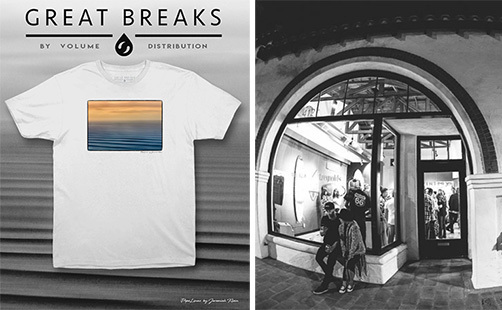 Join us for the unveiling of the Great Breaks photo t-shirt line at the INTERVAL Gallery in San Clemente Saturday, July 15. In collaboration with Volume Distribution, Surfline’s Great Breaks will debut the initial capsule by Jeremiah Klein and Rusty Long. Prints and T-shirts from the Great Breaks Collection — along with images from Volume’s Grain Collection — will also be on display and available for purchase. Other featured artists include: Tom Servais, Aaron Checkwood, Jimmy Wilson and Jerome Weightman. A portion of the evening’s proceeds will benefit The San Onofre Parks Foundation.